If you're going to spend hours in your car each week, then do you want one that's relentlessly competent, or one that brings some sparkle to every rainy commute - despite a few rough edges? The Suzuki Swift isn't the steady sensible option, but one that'll make you laugh, which sets it apart from some small car rivals, such as the Hyundai i20, Kia Rio, Toyota Yaris and Skoda Fabia. It looks modern, particularly in one of the bright colours available, is a joy to drive, and is good value compared to its rivals as well. 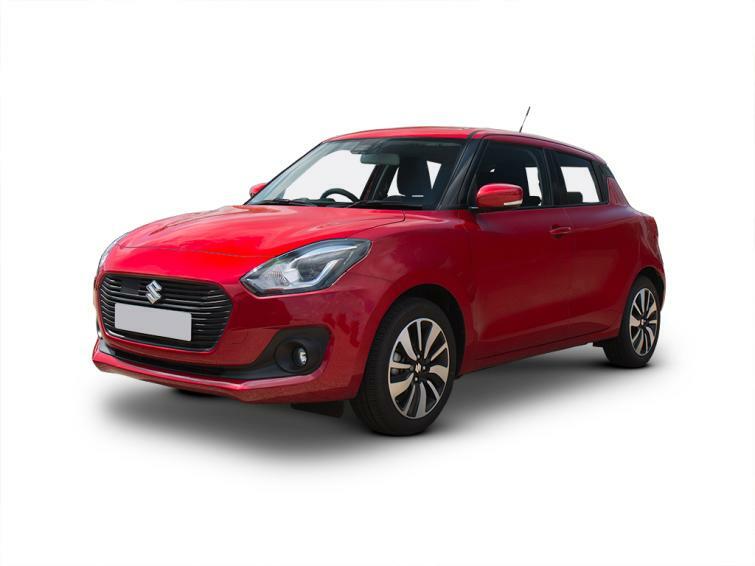 It's the same formula that made the previous Suzuki Swift such a success before it was replaced by the current car in 2017. This Swift's new underpinnings are lighter than the old one, and it feels more agile when going around corners because of it, darting from one direction to another. The 1-litre engine suits it well, and has plenty of power without the need to rev it. It might not accelerate particularly quickly, but it feels fast. For more performance, the Suzuki Swift Sport offers truly rapid pace. You can expect fuel economy of 50mpg in real-world driving, so it's cheap to run, as well as to buy. New car prices start from around £12,500 and 2017 models from the current generation with a 1-litre engine are available from BuyaCar for £9,000, or for £140 per month. A mild hybrid version of the car has a battery and electric motor to recover energy that's usually lost during braking, using it to give a small power boost during acceleration, but this doesn't really bring a major fuel economy boost. The safest choice is a car with optional radar brake support, (standard on higher-end SZ5 and Sport models), which is an automatic emergency braking system that can help to avoid frontal crashes. Cars fitted with this have a four star safety rating from the independent Euro NCAP organisation because of the benefits the system brings. Other cars in the range have an average three star score. So onto those rough edges. Where the Swift compares well to some of the older cars in its category, listed above, it's far from the complete package when you put it next to a Ford Fiesta, Seat Ibiza, Volkswagen Polo, or even the Vauxhall Corsa. Practicality is a weak point in relation to all four alternative cars, with rear passengers likely to feel cramped on long journeys, especially if they are over 6ft. The ride is bouncy over larger road imperfections too. Space is at a premium too in the boot, which can carry just 264 litres of luggage when the seats are up. That's almost 100 litres down on a Polo or Ibiza. You can see one reason why the Suzuki is cheaper than the competition (the Fiesta starts at around £3,000 more than the Swift) as soon as you get into the car. While the design is logical and neat, and the driving position holds no problems either, it can be a bit underwhelming in here. There’s plenty of hollow-sounding hard black plastic, very few colours and - on higher-specification cars - a slow-reacting touchscreen, which does include Apple CarPlay and Android Auto for simple use of apps in the car. It's a far cry from the softer surfaces, colourful inserts and glossy screen in the Volkswagen Polo, or even the Fiesta. But what really makes the Swift harder to recommend is that the Fiesta and Ibiza are both similarly nimble in corners and smoother on rough roads too, making them more practical and comfortable, even if they do lack some of the Swift's character, its value for money and its excellent fuel economy. The Suzuki is no bad car, though, and if you want a car with personality, it certainly has charm. In real-world driving, the 1.0-litre engine is the most economical option, returning around 50mpg. It's cheapest in SZ-T trim. A hybrid option offers a very slight mpg improvement, so isn't worth the extra cost. All Swifts come with five doors, and all have pretty small boots. So go for the 1.0-Boosterjet in SZ-T spec. This trim level gets a touchscreen with Apple CarPlay and Android Auto, plus a rear parking camera. The fastest of the Swifts is the Sport, which accelerates from 0-62mph in just over 8 seconds. It’s not as fast as some hot hatches, but it is fun. Different trim levels come with different levels of standard equipment. SZ3 models are least expensive, followed by SZ-T, SZ5 and Sport. The engine size is shown in litres (here it's 1.2). Smaller engines tend to be more efficient, and can also be powerful. Dualjet motors are the least powerful, while Boosterjet versions are turbocharged for extra power without too great an effect on fuel economy. Hybrid versions have a battery and motor for improved efficiency. The Swift is available with an optional four-wheel drive system, badged 4x4. It was previously known as Allgrip. The Swift is currently available with four engine options, all of which are petrol powered. The cheapest option is the 1.2 Dualjet. The most basic trimline, SZ3, comes with this engine as standard. It’s clean and efficient, with real-world economy of around 45mpg, according to the Equa Index, which estimates realistic fuel economy figures, based on public road testing. Acceleration is a little slow, but it will cope with any type of British road, making it a good budget choice. If you can stretch to it, the 1.0 Boosterjet is better in almost every way. Despite being smaller, it's more powerful because it is turbocharged and this is noticeable on the road, with bursts of speed when you press the accelerator, without needing to rev the engine. It's more economical too, delivering around 50mpg in real-world conditions, which isn't far short of the official figure. The engine can be combined with an automatic gearbox. Both engines are available in mild hybrid form, which is the least powerful hybrid technology. A motor and small battery recover energy that would normally be lost when the car slows down. This then boosts power during acceleration, reducing demand on the engine. However, fuel economy is barely improved and it's only available with the high-specification SZ5 model, making it an expensive choice. These cars were previously badged SHVS. The 1.0 Hybrid model can also be fitted with four-wheel drive for extra grip when accelerating in slippery conditions. Older models are badged Allgrip. The final engine is a 1.4 Boosterjet Sport. With 138 horsepower, it's by far the sportiest choice and feels even faster than the figures would suggest. Fuel consumption (officially) is just over 41mpg, which is pretty impressive for a hot-hatch. This engine is only fitted to the Swift Sport. The Suzuki Swift range consists of four models. The cheapest of the range is the SZ3, which is only available with the 1.2-litre Dualjet engine. It has a digital radio with Bluetooth for connecting your phone wirelessly, air conditioning, rear tinted windows and electric front windows. Moving up to SZ-T spec is a £2,000 leap when new because it only comes with the more advanced Boosterjet engine. This trim also adds a seven-inch dashboard touchscreen with Apple CarPlay and Android Auto, making it easy to control phone apps in the car. It also has a reversing camera. This model gets 16-inch alloy wheels and front foglights, which really lift the exterior. SZ5 models are available with either engine, and have hybrid technology. Four-wheel drive is an option too. Added to the list of standard equipment are sat nav, climate control, brighter LED headlights, electric rear windows and reach adjustment on the steering wheel. Adaptive cruise control, which controls the speed of the car to maintain a safe distance from traffic in front, is included, as is automatic emergency braking, which boosts the car's safety rating. The last model is the Sport, with its powerful engine that makes it the swiftest Swift on offer. This Swift also gets sportier suspension, larger brakes, 17 inch alloy wheels, sports seats, and a sports exhaust. Suzuki’s three-year/60,000 mile warranty is fairly standard and on a par with the Ford Fiesta but is dwarfed by Kia’s seven year warranty in the Rio and Hyundai’s five year warranty with the i20. Suzuki does tend to score well in the Auto Express Driver Power reliability survey though. The company placed 11th out of 26 in 2018, with a good seventh place finish overall for reliability. There are plenty of current-generation Suzuki Swifts available, along with several older models, which bring the price of Swift ownership right down to £5,290. Mid-range SZ-T and SZ-5 cars are easiest to find, and most come with the 1-litre engine. BuyaCar Prices start at £9,000, or around £140 per month with finance. There's no disadvantage to buying a hybrid SZ5 car (early models are badged SHVS), but it's not worth paying extra for the technology. The Attitude special edition went on sale in January 2019, and brings styling upgrades to the entry-level SZ3 car, with a spoiler, black strips, black alloy wheels and a mesh grille for a sportier look. Underneath this, it still has the 1.2-litre engine and the entry-level interior, including a basic-looking radio.